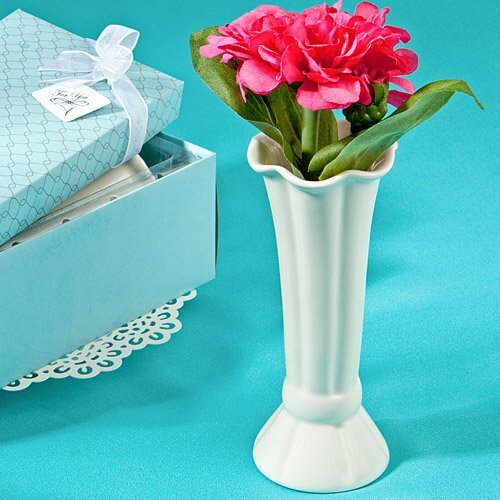 For favors that put smiles on your guests' faces, may we suggest these charming flower vases When you call something "a classic" you're noting its timeless design, endless appeal and memorable style. At Fashioncraft, we know all about favor classics - and certain flower vases, like these elegant ecru beauties - certainly qualify! And, whether you fill them with flowers or present them to your guests in their elegant packaging, they are sure to make smiles bloom.